Establish your Business in a Fast-paced Trading Environment through RAK Maritime City Company Incorporation. Dubai Business Services helps startups to establish their footprints successfully in UAE through exclusive RAK Maritime City Company Incorporation, since RAK Maritime City gives them access to global shipping and distribution networks for rapid business growth. Why RAK Maritime City Company Incorporation? The RAK Free zones are well-recognized for their ability to rise and grow as world’s leading economic hub in near future. The free zone of RAK Maritime City is no exception. The RAK Maritime City envisions the blend of free zone facilities and unmatched ports, a conveniently situated logistics gateway, flexible business set up framework, high-tech infrastructure and smart support services. Businesses pursuing their RAK Maritime City company incorporation plan, are going to exploit a host of businesses opportunities awaiting at RAK Maritime City Free Zone. RAK Maritime City company incorporation connects your businesses to a massive area of several million square meters, accommodating hundreds of businesses of different scales belonging to a number of industrial sectors. 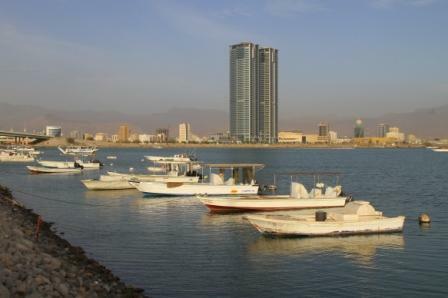 The strategic position of RAK Maritime City free zone has unique benefits to offer to businesses having RAK Maritime City company incorporation, including cost saving and enhanced port functionality. Dubai Business Services is your reliable, trusted partner for RAK Maritime City company incorporation. Our experienced and professional team offers an integrated support to set up your business in RAK free zones, giving your business a freedom to select the optimal business structure and business license. From initial application to company registration to facility leasing to securing licenses, visas and permits, the team at Dubai Business Services provides high-quality assistance and consultation for smooth and efficient business set up in UAE. Give us a call to set an instant appointment.